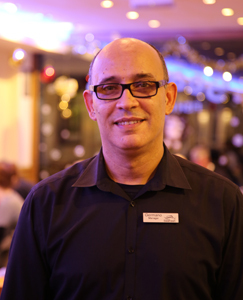 From 1990 until 2004 Germano worked at the Psistaria restaurant in Wilton Road. His duties there involved working on the bar, in the kitchen, and managing the front of house. He later moved in 2004 to join the team at Seafresh. However, in 2005 he opened up his own business in Portugal. He then moved back to England in 2008 and returned to Seafresh as a member of the kitchen staff, and then progressed on becoming the manager of the restaurant.